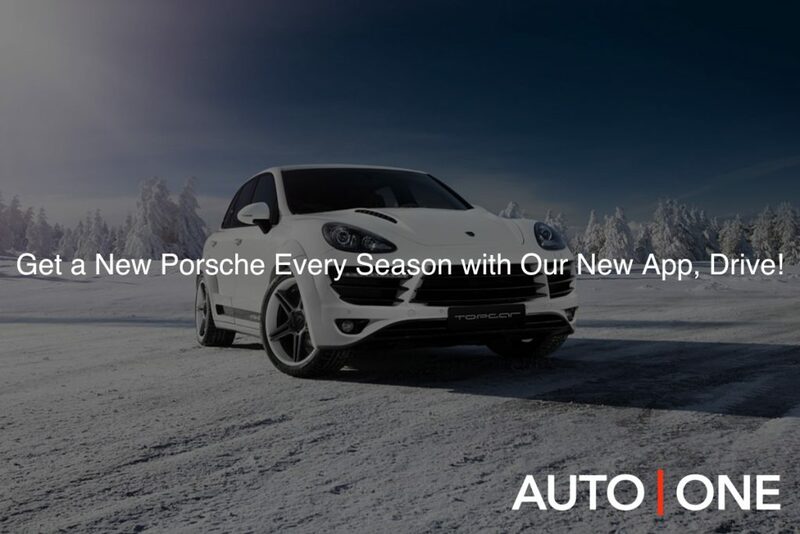 Get a New Porsche Every Season with Our New App, Drive! “To everything, there is a season”. Depending on whom you ask, that’s either a bible quote from Ecclesiastes or a song lyric from The Byrds. Regardless of where it’s from, there is truth to the quote; everything has its proper season, and everything serves its own unique purpose. This is true of cars as well since few (if any) cars are truly made for year-round driving. Why, then, do people lock themselves into financing a convertible, for instance, knowing that they will have the same car for seven years, yet only be able to use that car in the summers? In such a case, you are essentially paying full price for something you only use a quarter of the time. Until very recently, that was just the way it was: if you wanted a season-specific car, you had to either lease or finance it. But now, with Drive, our new car subscription service, we’re fundamentally changing how an exotic car dealership can operate. And to honour that change, we’re presenting a “Porsche for Every Season” guide. Consider this just one of the many ways you can customize your car subscription service – a fun, practical and totally awesome way to drive four unique cars throughout the year, without having to buy, sell or sift through lengthy lease paperwork. Simply swap your car at the end of each season, and completely freak out your neighbours (who will probably assume you have a whole garage full of Porsches!) Let’s take a look. The Porsche 911 is the classic 2-door sports car, an icon of freedom, speed and performance since the early 60s. Whether you opt for the hardtop or convertible, the 911 screams summer, with its compact aerodynamics, buzzy engine sound and refined interior. It might not necessarily be the car you’d want for polar vortex days in the winter, but it’s a car you will be excited about breaking out of the garage when the fine weather hits. 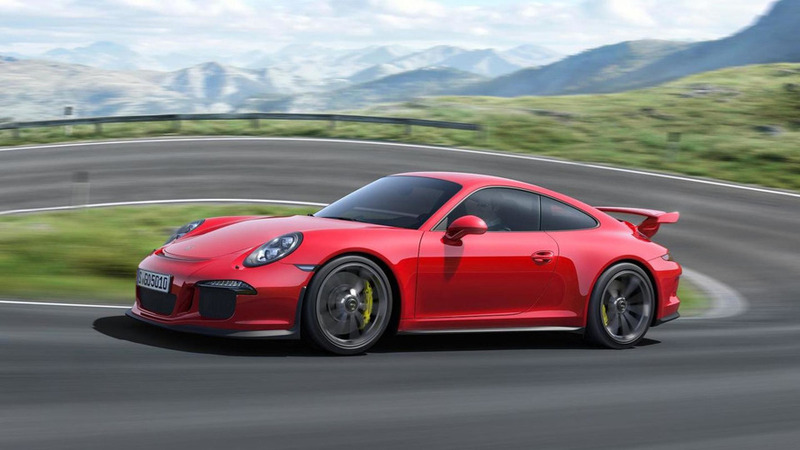 At AUTO ONE Group, we have a few 911s to choose from in our nationwide inventory, including a 911 Turbo, an S convertible and an insanely sleek, lava orange 911 GT3 RS. The 911 is sunshine in car form: bright, happy and moving at the speed of light. The Porsche Panamera is like a bigger, beefier version of the 911, perfect for when the weather starts to turn frigid, and the rain starts coming down. This executive car’s first model was rolled out nearly 10 years ago, and in the intervening years, the design and performance have become stronger and better. The Turbo V8 engine still satisfies that need for speed, while the all-wheel drive, lane change assist, blind spot detection, anti-lock brakes and four-source airbags make this a safer fall ride. The weather might start getting lousier, but that doesn’t mean your car should too. At our nationwide dealerships, there are lots of used luxury cars to choose from that are both reliable and a joy to drive. When you think of Canadian winters, you think of inclement weather and less-than-stellar road conditions. But you still need to drive to work and back, and you want to do so in style. Enter the Cayenne, Porsche’s take on a crossover SUV. It has all the bells and whistles you’d want from a luxury sports utility vehicle: Climate front seats, heated rear seats, panoramic roof, navigation, sport chrono, blind spot mirrors, Porsche entry and drive, two-tone interior, power liftgate, park assist, to name just a few. It’s a warm hug of a car, perfect for cruising around the city in the winter. Visit one of our dealerships in Vancouver, Halifax or Toronto to test-drive your dream SUV. We have a few Cayennes in our inventory right now – but maybe not for long. Spring is on its way – the weather is still touch and go, but the odd day of warmth has you excited to drive again. You want something sporty and slick, but with enough brawn to withstand the worst spring days. For this, look no further than the Cayman. A successor in both spirit and body to the popular Boxster, the Porsche Cayman is like the 911’s scrappier younger brother. Some even swear that it’s the better of the two cars. Whatever your take, the solid mechanics and impressive performance make it an ideal spring drive. These are the ABCs every car driver can get behind – Always Be Captivated. At AUTO ONE Group, we believe that driving should never be boring. You should always be excited by your car. That’s one of the reasons we rolled out Drive, our subscription service that allows you to swap, renew or cancel your car on a monthly basis. Learn about the AUTO|ONE DRIVE program on our website, or look through this blog more info. Because Drive allows you the freedom to drive a new car every few months, you can drive seasonally. As illustrated above, it’s possible to get a suitable luxury car for each season. No more convertible gathering dust in your garage during winter, or SUV eating up gas on your summer commute. You always have the right car for the right time of year. The flexibility that Drive affords also allows you to live your life a little more spontaneously. Want to book a last minute spring trip, but don’t necessarily want to sink money into financing or leasing a car while you’re gone? With Drive, if you want to go away for a little while, no worries: you can simply cancel your subscription for the upcoming month. No use throwing good money at a service you can’t use, right? Whether you choose a Porsche for every season, a single car for the whole year or you decide to mix things up, even more, Drive allows you the flexibility and customizability to do so.